Here’s a great game you’ll adore and regardless of your level of experience with online casinos! In fact, Wild Bazaar offers a gameplay with visual features. So, if you’re new to online casinos and don’t understand yet how Stacked Wilds, Linked Reels and Wild Multiplier works. Then Wild Bazaar is a perfect game for you! Alternatively, if you’re a high roller who plays with a progressive strategy, you’ll appreciate the high bets (up to £400) this slot allows you to place. But let’s not forget to mention that this slot also has multiple bet levels, which may come handy depending on your strategy. Sure, Wild Bazaar may not have animations and graphics that can compete with slots like the Planet of the Apes or Warlords Crystal of Powers. Still, it’s a slot that stands in a category of its own, and below you’ll find out more about it. Bonuses & features: Re-Spins, Stacked Wilds, Colossal Wilds, Linked Reels and Wild Multiplier. Highest-paying symbol: 5 Wild symbols on an active paylines reward you with 150 coins. 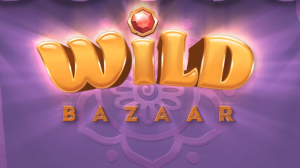 To sum up, Wild Bazaar has 4 main bonus features, and every time you activate one you’ll get at least one Re-Spin. So, to trigger the Linked Reels, Stacked Wilds, Wild Multipliers and Colossal Wilds you’ll need to collect gems. You’ll collect gems simply by creating winning combos with a treasure chest. Also, you can create a winning combo with a mixture of treasure chests and wilds symbols. However, keep in mind that the number of chests will determine how many times the feature will be triggered. And there for how many Re-Spin you’ll play. Also its worth pointing out that as you Re-Spin, you can still collect precious gems. Plus, you can have more than one feature in play at once. Which means, thanks to this game mechanics it’s easy to get a full screen of Wilds symbols and a 2x multiplier at the same time. To sum up, Wild Bazaar’s theme may not be the most appealing for some players. However, you shouldn’t let that affect your decision to play or not to play this slot. In fact, we’ve noticed that after activating the colossal wilds feature the wins are very frequent. What’s more is that after triggering the colossal wilds, the other features are not hard to trigger either. Which means it’s easy to get many Re-Spins and win big since frequently the 4 features mentioned above will team up and create explosive wins! All and all, this is a game that lets you focus on your gameplay and bet strategy. So, give it a spin today and see all the winning opportunities NetEnt got in store for you at this Bazaar! Have fun!